We assume that Nobuhiro "Monster" Tajima is already thinking about his next run up Pikes Peak. 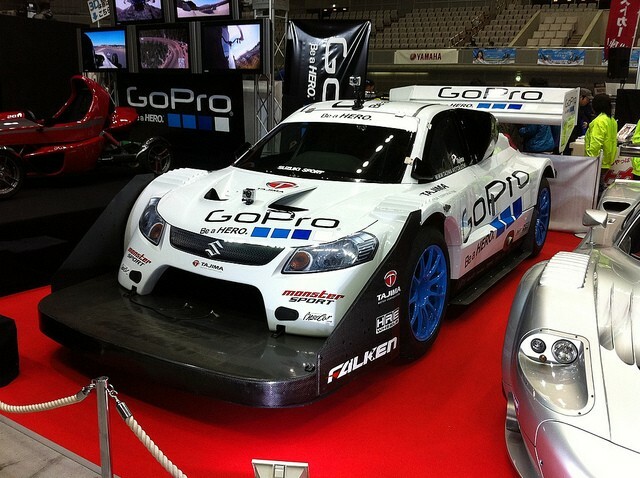 His Suzuki SX4 hill-climb special is one step ahead and wearing a fresh new livery courtesy of sponsor GoPro. The car looks as unique as ever and our eyes are particularly drawn to the icy blue HRE wheels. They're custom-forged 20-inch rollers built to take the abuse that 910 horsepower and Mr. Monster throws at them. Hopefully at the 2011 Pikes Peak International Hill Climb, we'll see this bright white-and-blue blur streak by on its way to a record-setting run. [source: HRE]New year, new livery for Monster Tajima's Suzuki SX4 originally appeared on Autoblog on Sat, 15 Jan 2011 11:11:00 EST. Please see our terms for use of feeds.